Lately we have begun to wonder how many Christians, whether authors, speakers or bloggers, have realized that Jesus never condemned anyone because of their sins (cf. Jn 3:17). Instead He forgave sin and healed from sickness. The only times when Jesus exposed sin was when He saw the sin of self-righteousness, especially in the hearts of the Pharisees and scribes. Hearts were given us not for us to reason and judge with but to love. It was the heart of Jesus that made Him heal in spite of sin in the afflicted one. So He dealt with the sin that was in the way between them and God by forgiving and then He healed them, often by dispatching the devils that bound the afflicted. There are so many Christians out there who know their Bible perfectly. But do they really know the heart of God before they open their mouth or press the keys on their keyboard in order to tell the truth… in love? Here’s another, hopefully inspiring quote. Ahh, very sweet, I love that quote from Shannon L. Alder. To love Christ is to love His people too, not always such an easy task. A couple of things come to mind, the woman with the perfume, in Luke 7:47 we read, “Her sins, which are many, are forgiven; for she loved much: but to whom little is forgiven, the same loveth little.” To recognize the extent of our own sin and to avail ourselves of mercy, really does lead us to be more empathetic and compassionate towards others and less self righteous. To have known love,makes us more loving. God is all about mercy, redemption, healing, restoration, relationship, connection. You find evidence of this all over creation but also in scripture. Peter denies Christ three times, but Christ also asks in 3 times in perfect measure, Peter do you love me? Eve is tempted in the garden and gives birth to sin so to speak, but Mary is chosen to give birth to redemption. Some say Adam fell down on the job in the garden, but later Christ comes as a man to bring salvation. There are dozens of these interesting little examples of how God is all about restoration. Wow, same Spirit, dear sister. We were going to include that very scripture from John 3:17 and didn’t. God had us leave it out so you could post it! Really! This is true body ministry and unity, dear sister! Yes! So many good examples in between the New and the Old Testaments like you shared. Thanks so much for sharing these. Like Susanne said, you have the start of a great blog in your comment. Go for it! Excellent! Excellent! Thank you both! That Shannon Alder quote at the beginning was incredible! And of course I love anything Brennan Manning has penned. I was in Roman 8 in The Message earlier this week and read this: “God told Moses, ‘I’m in charge of meexg. I’m in charge if compassion.’ Compassion doesnt originate in our bleeding hearts or moral sweat (oops), but in God’s mercy.” And it struck me so deeply. This mercy which we have been given in full measure, is not something I can with straight face or genuine faith, keep from another. God help me. I also read in my “The Words” book: “All if you whom the Father has given me will come to me. And whoever comes to me, I will never refuse.” Unsure of the reference, but look at that last sentence. That is the beautiful scandal of which we’re all invited AND welcome. Hallelujah! 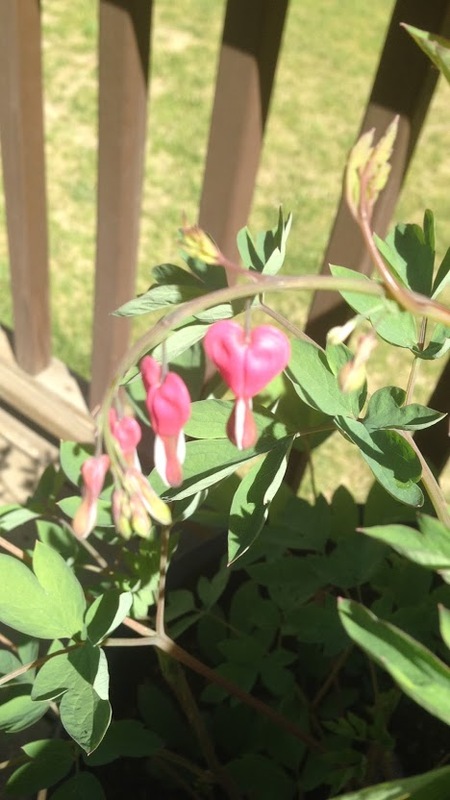 Thanks so much for the inspiration we got from your God-breathed blog article here https://beckyleannejohnson.wordpress.com/2015/06/12/love-is-the-new-law/ and a special thanks to Lisa, too, whose comments got the ball rolling, finally. 🙂 By the way, as an information for our readers, Lisa blogs at http://thelifeofmygypsyheart.com. Freed you from the desire to write? Hmm. I am not sure whether I understand your “Hmm” correctly, Becky, but maybe you raised the same question here as Ken Dawson and Jacqui Julyan did before. I just decided to copy and paste a part of my reply to JJ recently. If you want to read more, here’s the link https://enteringthepromisedland.wordpress.com/2014/08/01/would-you-love-to-die-for-jesus/comment-page-1/#comment-11155. If you or someone else wants to read more about what I “lost” since I have come to know God, here the link to that post where I described it https://enteringthepromisedland.wordpress.com/2014/07/05/putting-on-the-new-self-but-how/. Susanne, thank you so much for the links. I enjoyed very much reading through the comments. To clarify, my “hmmm” was based on my perception that being freed from the desire to write was a good thing (to be freed) and that writing (because you were freed from it) was a bad thing. After reading through the comments, however, I believe I was incorrect. I have battled through a lot of questions and not knowing, etc. Writing is not something I’ve always done. It is new with my prodigal surrender and salvation (again, if you will) back in 2007. I have had a very difficult time trusting it. That being said, I will share an experience that took place just today. I had been praying. A friend is going through an incredibly tumultuous marital season and told me recently she does not seek the voice of God before speaking to her husband. I know this, for I never did. In my prayer I was asking for God to reveal himself in the midst of the tumult as I know he is able. But also I was saddened because this friend has 52 years of church. (No longer though. Much religion is being pulled, yanked, from her.) Anyway, it is in this when I hear in my spirit: “I AM the only One who can bring life.” Not me. Not my words, per se. As you wrote, without God I have nothing to give. Not our religious duties and/or activities. Only God, our Father in heaven, can bring life. And withing minutes I am reading in The Message translation, in Romans 11: “Everything comes from him; everything happens through him; everything ends up in him.” And there in my reading room, with the fan on my legs to cool me, and the windows open with the warm sun shining on the leaves of the lush tree outside, birds chattering, etc. I knew Life in a whole different way, as well as myself and the part I play. Thank you very much for sharing today’s testimony, or rather, a part of your spiritual diary from today with me. YES!!!! Only HE can bring life and save ppl out of their painful situations and circumstances. Our words, written or spoken affect no one and have no positive spiritual effect unless God’s Spirit wind breathed them unto us. I love where the Lord has been taking you, dear sister! I am sure that we all are looking forward to attend the marriage supper of the Lamb! OF THE LAMB HAS COME AND THE BRIDE HAS MADE HERSELF REAdy. WHITE LINEN, as stated above. That’s what He did. I was fresh out of my own personal Egypt, marks from the slavery chains still in my skin. And He courted me in the wilderness. My Heartbreak Valley most assuredly was turned, by the very grace of God, into Acres of Hope. Not that everything is perfect, as I’m certain I don’t have to qualify with you. But my spirit was forever changed. The depth by which are still being revealed to me. Oh Becky! What a wonderful personal revelation God has given you. Our God does not try to fix up what Satan destroyed in us, but rather He make all things NEW and the old things are passed away. He has no use for our old beat up wineskins, but rather He put us into a whole new container, Jesus Christ! For as many of you as were baptized into Christ [litterally, we have been immersed into Christ!] have put on Christ. There is neither Jew nor Greek, there is neither slave nor free, there is neither male nor female, for you are all one in Christ Jesus. What a wonderful place you are IN, dear Becky! Hugs to you in Jesus. Yes! He makes all things new! That is our message. Not “fix it up,” or “work on that area, or this,” or “self-management.” Behold! I make all things new. Wow! As for those of you that read this, please pray for us that our Father’s will be done in our lives and in our unity as well as that of the whole body of Christ. May Jesus’ love continue to grow in us until the fullness of His kingdom becomes a reality. Amen. We have gone through so many struggles and attacks from Satan during that time, I cannot even count them any longer, can you? But despite his flamings darts that are truly painful, God saw us through and lifted us ever higher after another valley of dying to self. Thank you for the post. You ask what we thought of Shannon L. Alder’s statement. I’m not sure that I understand the parallel between righteous and arrogance. Someone said, “Blessed are they who are caught”. That is a type of confession. I believe confession opens the door for love to cover a multitude of sin. Proverbs 10:12 and I Peter 4: 8 says, ” Love covers a multitude of sins”. Jesus was God (Love) manifest in the flesh. Jesus was love, so He could deal with sin. Praise God, He can deal with all my sin, and the sin of the woman caught in adultery. My understanding is that before Jesus came – she would have been stoned to death. Pat, thanks for your comment. What Shannon was pointing out was that it is easy to become proud of our righteousness as soon as we think we are doing something “right.” It is then that we slip over into a self-righteous arrogance and start looking down our noses at those who “have not advanced” to “our level.” Like Shannon said, “What makes them different is the road to righteousness is paved with the love of humanity. The road to arrogance is paved with the love of self.” We tend to “self-exalt” as soon as we think we are getting somewhere in our spiritual walks. But true love of God is always interlaced with Christ’s humility. Agape love puts others first and even prefers them over ourselves and does not vaunt itself up over others, but takes the lowest place in loving service to even its enemies. If we are not in this love when we seek to correct another, it will be harsh and judgmental, but when God corrects, He strips Himself and puts on a servant’s towel and washes feet. You’re so welcome, dear Pat! Truly, I am glad Michael answered you the way he did and I believe it was perfect how he explained it. I always loved that Scripture which speaks of LOVE being able to cover a multitude of sins. The more I walk with the Lord, the more I see my weaknesses, my helplessness without Him, and countless imperfections. Nonetheless, I now am inclined to believe that it’s ALL about growing in His love and becoming able to no longer look at any sin in others. Yes indeed–Mike did nail it! Great piece, Susanna. Jesus never condemned an individual. Instead, Jesus addressed the sin directly in the spirit of love and forgiveness. However, He was not bashful about harshly criticizing groups of people and the attitudes and practices of the groups. “Woe to you Pharisees.” etc. He also severely criticized the money changers in the temple during Passover. Recall that He expressed His anger by overturning tables. Although He used strong language to criticize groups even that was an expression of His love, because the targeted groups were having a powerful negative effect on many others. The groups included people in highly visible positions and therefore had a greater sphere of influence than most people. What do you think? Thanks, Lloyd. I wonder whether Jesus’ “behavior” in dealing with sinful people, i.e. all but Him, had to do with their true heart condition. If He saw that someone had already repented in his heart, there was no need to address sin. But when someone wanted to go on wearing a “holy mask”, Jesus tore it down. I guess that was one of the reasons why they wanted to kill Him. Interesting thoughts, Susanne. Jesus said, “I am the Way, the TRUTH and…” The “holy mask” to which you refer covers a lie and to some extent represents the greatest of liars, Satan. When Jesus criticized the mask, not the wearer, it was a euphemistic way of saying, “Get thee behind me Satan.” What do you think? Lloyd, I don’t think that “groups” as a whole were subject to Christ’s criticism. but rather what those groups represented in God’s kingdom and their attitudes as you said. Yes, He did say, “Woe unto you scribes and Pharisees, hypocrites!” Why? Because they would not enter into God’s kingdom and tried to interfere with those who WERE SEEKING to enter in! It is not what group we belong to that God looks at (for instance Republican, Democrat, Libertarian, Protestant, Catholic, etc. ), but He looks at the heart of the individuals in all groups as Susanne said in her comment. I agree that those who have been given much will be required much of God and teachers will receive a greater condemnation if they are misrepresenting God in the church. Jesus in Matthew ch. 23 had much to say about all this. Thank you for the clarification, Michael. I agree with everything you said. If it’s been a while, check out my blog at lloydstebbins.com. Lots of new stuff posted. Okay, Lloyd, I will check it out. Thanks. Yes, LOVE is so fulfilling and deep. SO much more than having self-righteous heart. It is protective and fierce! Indeed, I have been in the place of complete helplessness before God for many weeks now, feeling that particular pain very often and I do know that I can never change that spiritual condition I am in. Actually, I have given up on the thought of being able to inspire anyone to anything which is pleasing in His sight. Feeeeew! Does that sound like some good news to our ears? 🙄 At first sight, not really, but I hope to get through that valley of death (i.e., dying to self) anytime in the future, though. Please, God help me! Amen. Thank you very much for sharing this with me, Michael, and thanks for your prayers. I can understand that it’s easy to become discouraged although I try to remind myself that God continues to love the mankind even though majority of them has turned their back on Him. Imagine how He must feel! I think the book of Hosea is a good example of His love. Only He can give us the divine strength to keep on loving one another! A parable of seed sower came to my mind, we should keep on sowing and sowing even though not all seeds will become fruitful. Also, we may not see the result right away, but it’ll be worth it when we finally see the fruit fully grown and thriving! I hope this makes sense because I was writing metaphorically. I pray to God to fill you with even more of His LOVE and PEACE! May His PEACE and LOVE always be with you, too. Thanks, Joseph. Yes, love can both feel good as He pours His love through us and it can also hurt when it is rejected or we inadvertently hurt the ones we love. Paul wrote that when one member of Christ’s body suffers, the whole body suffers and when one member is joyful the whole body is blessed. God so loved the world that He sent His Son to suffer and die for it. Love is not always a good feeling or the easy way, but it does put the needs and sufferings of others ahead of its own well being and seeks to relieve and heal them. Love embraces pain. I think that the love of Jesus drew people to Him and I know that when we are a conduit of His love it will still draw others to Him as well. I find it that when we become more loving toward others, we become more sensitive to their suffering and pains to the point where it begins to affect us. When we help others, we are also helping ourselves and fostering the spirit of unity. Joseph, you bring up some interesting points. It is obvious that you have walked out this life of loving IN Christ and have come to know “the fellowship of His sufferings” first hand. Some of us are more sensative to the pains of those around us and know what it means to be an empath… taking their pains into ourselves. Our only relief in being this way because of Christ’s love, is to learn to lay these burdens at His feet. Thanks for sharing that passage out of Colossians. It says it perfectly what we are called to do and be IN Christ! Actually, I am still mulling over what you wrote about Jesus hugging people He met. I am rather sure He really did, but where can we find it written in the Bible? What I remember, instead, are a few Jesus films on TV where one could see Him hugging His desciples and ppl who came to Him. May God bless you too, my brother, immensely!!! Having hopeful, positive, and restorative feelings for someone (instead of frustrated, negative, and critical feelings) has been a gauge for me lately as to whether I have any place or spiritual unction from the Lord to open my mouth. If I disregard this, I am convicted that I am judging, not loving. Love to you both. Keep up the good work of loving! And yess! Jay Ferris was completely right: without being in love with one another, we cannot speak the truth IN LOVE. Jay must have been a wonderful spiritual man, I am sure. And I could understand if you you still missed him. With God’s help…we’re keeping up the good work of loving! His words jumped off the page at me! All to often we left-brained religious people do not love with our hearts, but rather turn to “reason” to decide what we are to do in each situation. Jesus was motivated always by the love and mercy of the Father! It was “reason” that Satan appealed to in Eve that if she would eat of that forbidden tree she would be on the fast track to becoming like God and that was what got us all in this mess we see today! God has given us new hearts IN Christ and filled them with His love. Agape love should be the most powerful thing that operates in us, telling us how to respond in each situation. Paul wrote that knowledge will pass away, but the greatest of all these gifts from God is love. It was their knowledge of the law that the scribes used to judge Jesus for forgiving that man’s sins. If they had been in their hearts instead of relying on their reason, they would have rejoice that this man’s sins had just been forgiven and rejoice when he was made whole and walked again, but they had NO love in them, only judgment based on human reason. The law is subject to the knowledge of good and evil, not the Tree of Life and Jesus came that we might have LIFE not death. The sting of death is sin; and the strength of sin is the law. But thanks be to God, who gives us the victory through our Lord Jesus Christ. And of his fullness have all we received, and grace for grace. For the law was given by Moses, but grace and truth came by Jesus Christ. How wonderful that the two of you should collaborate, Michael and Susanne! The combination is — not surprisingly — a gift to the rest of us. Your spirits are so in tune, in any case. Reading this blog, including the many thoughtful comments, is always like attending a feast for me. I come away nourished and richer. This particular post bears on both the “prosperity” gospel and the transgender issue. Listen to a sermon by any proponent of that so called gospel, and you will quickly recognize that the message targets outcasts. Those who have been rejected, those who carry scars cannot help but be drawn by a promise of love and acceptance at last. And all for a price. The true message of unconditional love, the good news of Salvation through Christ, is miscast as a financial transaction. Blessings can be purchased from the Lord for a simple donation to the ministry — a ministry whose primary purpose is to furnish the minister with a lavish lifestyle. The larger the donation, the more generous God will be goes the claim. And so the flock is fleeced by the shepherd. There will be eternal consequences for these shepherds, these wolves in sheep’s clothing. But the lost and forgotten are meanwhile denied the comfort and support the true gospel provides. Churches preaching the traditional gospel, churches whose members should know better, have failed to reach out to this under-served population, leaving them at the mercy of false shepherds. The same applies to those struggling with sexual identity. The adoption by Bruce Jenner of a female persona (“Caitlin”) has brought the transgender issue to the public’s attention. Almost universally, Christians have recoiled in horror. We hear comparisons with Sodom and Gomorrah. Many, however, suffer from problems involving sexual identity — transgender and otherwise. Their pain is real. While there are no easy answers, love must be a component of the Christian response. The LGBT community, esp. homosexuality and the transgender issue is something that has been on my mind lately too. You are absolute right as to your observations about the prosperity gospel and the way those who already suffered enough in this life are only courted to get hold of the “fat and the wool” of the sheep, i.e. of their money and possessions. I always had a big heart for those struggling with their sexual identity. By now I only wrote one particular article on the issue (https://enteringthepromisedland.wordpress.com/2014/08/06/you-are-being-loved-by-jesus-unconditionally-at-that/ ). God willing, I may dig deeper into it in the days ahead. But only He knows about the HOW and WHEN. Dear Anna, Thank you for your gracious comment about our blog article. Yes, it is uncanny how in-tune Susanne and I are in the Spirit. We are so grateful that the kingdom of God is not limited by time and distance. It seems that we often have the same thoughts at the same time and rarely are in disagreement on anything. Once in a while we come to a loggerhead on a subject but we manage to pray and turn it over to the Lord and He brings us back into unity by showing us HIS mind in the matter. From what I read in the New Testament this should be a norm for the members of the body of Christ, not the exception. Jesus and Paul had much to say about the importance of unity in the Spirit in the body of Christ. God bless you, dear Anna, for your selfless work among the poor and the ones that modern Christendom rejects in this world, the very ones that followed Jesus everywhere He went. He is still among them with His Spirit in people like you. You give me more credit than I deserve, Michael. But I highly recommend your friend’s article “The Forgotten Demographic”. It is a powerful piece. Your sister in His love, A. Both of you have put to words what I myself have been trying to say for quite sometime now. Bravo! I have come through the scorching fires of a judgmental group of people (both church family and my own family). Those people have been harsh, unforgiving, cruel and down-right heartless in the way they have spoken to me, treated me with cold- hearted rejection because I wasn’t like them. But, I can thank God for it all now, because it has taught me some very important lessons and insights that I would not have learned without that fiery trial. I see things about God and His word with new focus and with a greater understanding than before. He is also setting me free from many things that had me bound, things that I was blind to. And with it a new fire is burning in my heart for the truth of God’s word and the things of God. By His grace I am now entering a new path with victory in my heart. My faith in Him is strong and growing, and I am encouraged by a new zest for living for God. I am praising the Lord Jesus, for He is doing this new thing in me. So sad that you had to go through rejection, even in your own family, but it appears to me that God Himself put you through it all and that His grace never left you (although we might sometimes feel forsaken by Him). I was happy to read that you indeed got a new love for the truth of God’s word and all things concerning Him. That was clearly HIS doing inside you though that dark night you had to go through during the last years. Oh and by the way, I posted this on Facebook for others to read. There are no “unwholesome words” more damaging than words of condemnation that we sometimes blurt out from a heart that is hardened by our self-righteous and arrogant behavior. Lois and I appreciate the timely words from you and Michael concerning the judgmental attitude of many in the church who have become convinced their “path” is the one true path we should be following, instead of following the Lamb whithersoever he goes. Many years ago Lois and I were ministering, concerning the “Grace of God,” to a body of believers who were previously “beaten-up” by a well meaning, albeit, “arrogant” evangelist who constantly preached hell-fire and damnation, which brought everyone in that little assembly under tremendous condemnation. Among the youth was a young girl who had given herself to a boy she was certain she “loved deeply,” resulting in a pregnancy that she was certain she would be condemned for. Her mother, who felt she had failed miserably to raise her daughter to, “know better,” brought her to us to acknowledge her/their sins _ expecting to receive a scathing rebuke, and more condemnation, along with the possibility of the two of them being cast out of the assembly. Contrary to what they expected, instead of having guilt heaped upon them, a compassion that welled up within, brought out words of love, tenderness and encouragement concerning God being in control, as the One who opens the womb, children being a gift from God, and bringing her child up in the fear of the Lord and providing a Godly environment, etc. etc.. Remembering Tamar and Rahab and how they were accounted as “righteous” before God, helped to calm all fears and brought peace to each of us. What a wonderful experience of His presence, Love, and compassion. Thank you for a word that serves as a reminder of times wherein we rejoice when the Heart of God is lovingly expressed in our midst. Thank you very much for your appreciative and wise comment on here. I love the testimony you shared with us! 🙂 It was clearly the unconditional love of God that nudged you to display His heart toward that poor girl who got pregnant out of wedlock. I do not know whether it is true, but recently I read that more women who attended legalistic churches had an abortion than women who were able to attend a liberal church. Tamar and Rahab were wonderful examples to show us that God is not so much interested in sin, but in the heart condition we are in. The problem with legalism lies in the fact that the sinner is urged to behave like a perfect saint would do. However, the sanctification process is extremely long and for most people in churches it has not yet begun (speaking of individuals here). They are still sinners who will be saved by Jesus. So, it is not our task to judge anyone if we do not know their hearts as God does. “…live and act lovingly, as Christ also loved you.” Yes, Tom, that is what we all need. What a wonderful story of God’s grace and mercy. God bless you and your dear wife, my brother. Susanne, I like your new picture!